The current environment requires many people working in financial services to have a good understanding for various components of risk management (e.g. operational risk, credit risk, market risk, etc,). Risk management associations are a great venue for acquiring this knowledge. Two of the more well-known industry associations which provide risk management education are the Global Association of Risk Professionals (GARP) and the Professionals Risk Managers’ International Association (PRMIA). 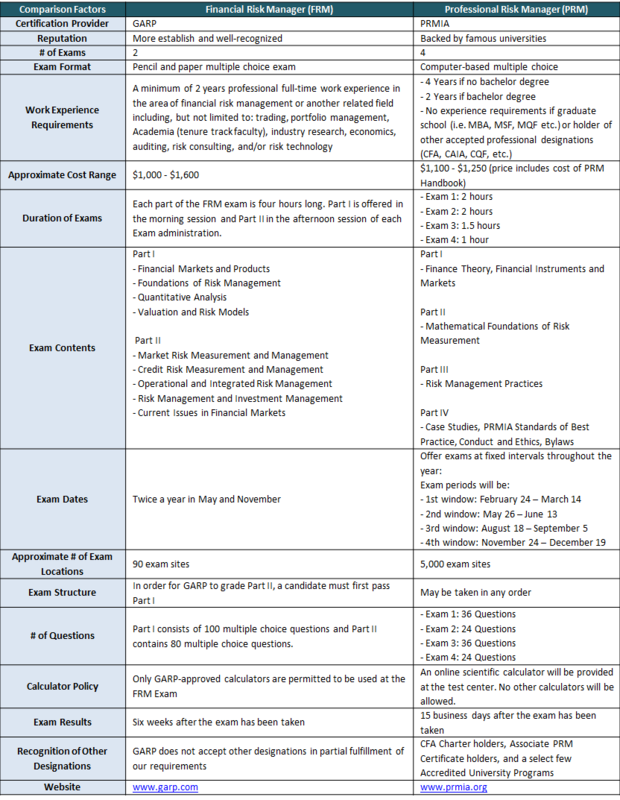 GARP and PRMIA offer risk management certifications, Financial Risk Manager (FRM), and Professional Risk Manager (PRM), respectively. Studying for the two certifications is a great way to learn key concepts in the risk management, governance, and regulatory space.